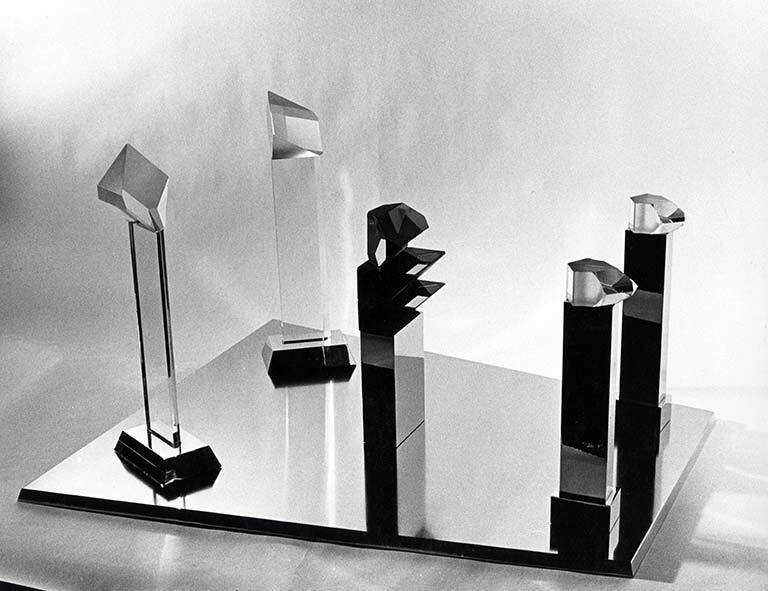 Optical glass prisms, perspex prisms, chromed steel and satin-chromed steel, stainless steel base, perspex case, shaped painted wood base. The first in a series of works called Rites of Passage, In Sua Memoria is a memorial to Lijn’s father who fell ill and died while she was making the sculpture. The Rites of Passage series were dramas celebrating the moments of passage between different states of consciousness. 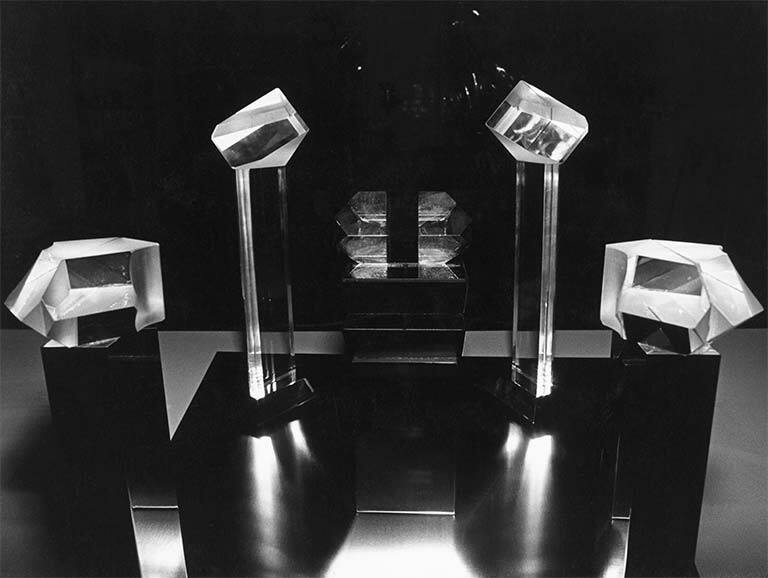 The earliest of them were encased or sealed in perspex cases to signify that they were closed worlds. The last two were left uncased. They take inspiration from Egyptian temple sculpture and the rituals of the Egyptian Book of the Dead. They also play with scale and invite the viewer to become small to enter them and participate in their cosmogony.